Myriad Hades evolved from Hades. It has three fire breathing dragon heads and multiple wings to fight high and fast. Its front claws can sustain heat to catch fire balls and throw them back at an opponent. 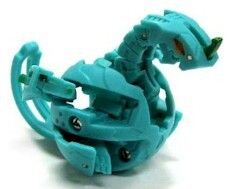 Purchase Myriad Hades Bakugan from Amazon now!